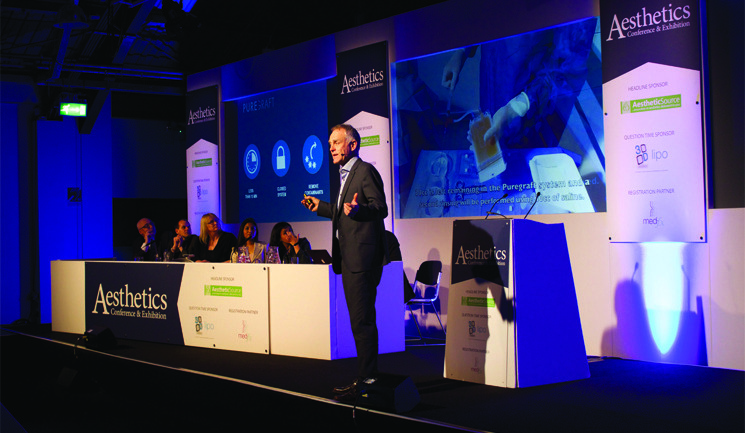 Featuring expert speakers and high-quality educational content, the Aesthetics Conference and Exhibition (ACE) 2016 is not to be missed. Hundreds of aesthetic practitioners have already registered for the two-day event and delegates are still able to benefit from a special early booking discount for the first-class Conference. This premium programme will comprise eight sessions presented by a team of more than 20 world-leading speakers, sharing their extensive knowledge and expertise on treating aesthetic patient concerns. Focused on key facial and body anatomical areas, each session will include anatomical explanation and discussion, a range of treatment options with live demonstrations, presentation of case study results, and vital complication management guidance. The sessions, which will run for either 1 or 1.5 hours each, will cover aesthetic treatments for the forehead, temple and brow, perioral, chin and submental area, periorbital region, mid-face, lower face, neck, décolletage and breast, buttock and thighs, and vaginal rejuvenation. Each will provide an in-depth and thorough learning experience, enabling delegates to enhance their skillset, develop greater aesthetic results and improve patient satisfaction. Delegates can also share their opinions and participate in peer discussions with interactive voting pads, which will be utilised throughout the Conference agenda. All sessions will feature the latest audio-visual congress technology to allow maximum effect and optimise learning. Mr Dalvi Humzah, Dr Tapan Patel and Dr Raj Acquilla will once again provide attendees with exclusive insights into their anatomy and injectables expertise during multiple sessions. Other popular ACE speakers returning for 2016 include Dr Simon Ravichandran and Dr Maria Gonzalez who will share their advice on treating the mid-face for volumisation and pigmentation, respectively. Dr Firas Al-Niaimi and Mr Taimur Shoaib will join the panel for the lower body session; Dr Kate Goldie will perform a periorbital live demonstration in Friday’s ‘Enhancing the Eye’ and Mr Adrian Richards and Dr Aamer Khan will draw on their experience to guide delegates in the neck and breast session. In the upper- face module, specialist dermatologist Dr Stefanie Williams and aesthetic nurse prescriber Anna Baker will form key members of the esteemed panel, while Dr Sherif Wakil and Dr Kannan Athreya will look at treatment options for vaginal rejuvenation in their Saturday session. For the lower face, aesthetic nurse prescriber Sharon Bennett will perform a live demonstration of perioral rejuvenation, while consultant dermatologist Dr Sandeep Cliff will detail how to treat this area with active ingredients. 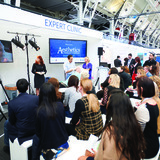 Joining the faculty will be new additions to the ACE team, including cosmetic practitioner Dr Uliana Gout, who will present on medical skincare and chemical peels; clinical lecturer and practitioner Dr Kieren Bong, who will give a presentation on the ‘Two-Point Eye Lift’, and GP and aesthetic practitioner Dr Shirin Lakhani, who will present the latest O-shot case studies. Also new to the agenda will be aesthetic nurse prescriber Frances Turner Traill who will highlight common pitfalls of treating the mid-face, Mr Sultan Hassan who will outline key anatomy and treatments for the buttock and thigh, and board certified ophthalmologist Dr Maryam Zamani who will discuss complications associated with treating the periorbital area with fillers. 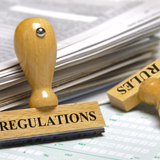 To attend the Conference, delegates can choose to book either a one-day pass for the Friday or Saturday, or a two-day pass to experience the entire Conference agenda. 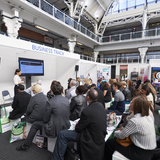 The Conference Pass will also give visitors access to all the practical free content on the educational programme that includes; Masterclasses, where delegates can learn how to achieve the best results with the leading products from aesthetic suppliers; the Expert Clinic agenda, which will offer invaluable advice through live demonstrations of the most up-to-date techniques from the UK’s most successful practitioners; Business Track sessions providing essential advice on how to develop a thriving aesthetic practice, and a new addition to this year’s agenda, Treatments on Trial, where delegates can directly compare products with similar indications and join debates with company representatives on their use and success in aesthetic practice. A networking event, sponsored by 3D-lipo, will take place on Friday 15 from 5.30-7pm, offering delegates the opportunity to build new business contacts and liaise with peers and industry suppliers. For every ACE session attended, delegates will be awarded CPD points, with a total of 50 points available over the full education programme. Aesthetic professionals can book Conference attendance on the new ACE website, where they are also able to view the full agenda timetable and search speaker biographies and exhibitor profiles. Once logged in, delegates can create their own programme for ACE by saving the sessions that they particularly don’t want to miss to a personalised agenda in order to plan out their visit before arrival.